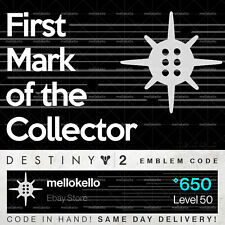 Destiny 2 First Mark of the Collector emblem IN HAND!! SAME DAY DELIVERY!!! Destiny 2 Planet of Peace Emblem!! SAME DAY DELIVERY!! Destiny 2 Forsaken Gambit emblem IN HAND!! SAME DAY DELIVERY!!! We will unlink this for you. We are huge lovers of rare emblems and super-fans of the Destiny franchise! If you have an extra console/pc account linked it wont close and you can choose to relink whenever you like BUT in relinking you will lose our emblems. We will unlink this for you. We are huge lovers of rare emblems and super-fans of the Destiny franchise! Destiny Made Easy. A.You gain our emblem collection. See our FAQ for further details. They will permanently remain in your collections across all of your characters. DESTINY 1 LIMITED EDITION EMBLEM. EYE OF ETERNITY. LIMITED EDITION EMBLEM. BUY NOW & ADD IT TO YOUR EMBLEM COLLECTION. INCLUDES 10 FOCUSED LIGHT XP BOOSTS. 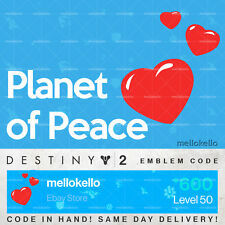 • Destiny 2 Planet of Peace Exclusive Emblem. DESTINY 2: FIRST TO THE WILD EMBLEM. Destiny 2 Songs of the Forsaken emblem. Will send as soon as possible. 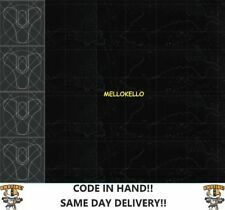 Destiny 2 BLACK SKIES Emblem Code | CODE IN HAND! Frontier Kit, featuring - Solar blanket. We will always go out of our way to source the product you are looking for. Condition is New(used once). The Destiny 2 Limited Edition Ghost Speaker is not required to enable and use the Destiny 2 Ghost Skill. The Limited Edition Device responds to voice commands with over 1000 custom lines from Official Destiny 2 Ghost Skill. We will unlink this for you. We are huge lovers of rare emblems and super-fans of the Destiny franchise! Destiny Made Easy. A.You gain our emblem collection. See our FAQ for further details. If you have an extra console/pc account linked it wont close and you can choose to relink whenever you like BUT in relinking you will lose our emblems. Pendant Size: Approx. 2.2cm 2.2cm. Length: Approx. This is for a Destiny 2 Hellspawn Emblem. Destiny 2 First to the Forge emblem IN HAND!! SAME DAY DELIVERY!!! Destiny 2 First to the Forge Emblem. If you don't an unpaid item case will be opened. I will attempt to make things right. A Superb quality wallet which is very well made. Official Wallets. Xbox Original. Other Information. Item as described. Playstation 2. Nintendo 3DS. Dispatched From: Yorkshire, United Kingdom. If you don't an unpaid item case will be opened. I will attempt to make things right. New and Opened. The Destiny 2 Forsaken Baron Playing cards features custom art and biographies of the 8 Barons. DESTINY 2FORSAKEN. the Spider, the Drifter, Prince Uldren Sov, Queen Mara Sov, Cayde-6 and the Ace of Spades Hand Cannon. This is for a Destiny 2 First Mark of the Collector Emblem. No physical goods. (the five pence coin is not included). Destiny 2 Ghost Speaker - Requires Alexa Enabled Device. New in box. Destiny 2 Ghost Speaker - Requires Alexa Enabled Device. New in box. The Limited Edition Device responds to voice commands with over 1000 custom lines from Official Destiny 2 Ghost Skill. A Superb quality wallet which is very well made. Official Wallets. Dispatched From: Yorkshire, United Kingdom. Style: Bi-Fold (Unless otherwise stated). Xbox Original. Other Information. Product Information. Destiny 2 "Little Light's" emblem code. Enter the 9-digit code. High quality Destiny Ghost miniature. Official Destiny Product. Destiny 2 Carrhae emblem IN HAND!! SAME DAY DELIVERY!!! Destiny 2 CarrhaeEmblem. If you don't an unpaid item case will be opened. I will attempt to make things right. New Destiny 1 - Bungie - White Tricorn Collectible Pin. Destiny 2 First Mark of the Collector emblem. If you don't an unpaid item case will be opened. I will attempt to make things right. Limited Edition G2 Steelbook Case. DESTINY 1 LIMITED EDITION EMBLEM. LIMITED EDITION EMBLEM. BUY NOW & ADD IT TO YOUR EMBLEM COLLECTION. INCLUDES 10 FOCUSED LIGHT XP BOOSTS. DESTINY 1 LIMITED EDITION EMBLEM. LIMITED EDITION EMBLEM. 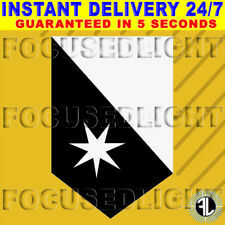 BUY NOW & ADD IT TO YOUR EMBLEM COLLECTION. INCLUDES 50 FOCUSED LIGHT XP BOOSTS. UNION OF LIGHT. Destiny 1 Dawn of Destiny emblem VERY RARE IN HAND!! SAME DAY DELIVERY! Destiny 1 Dawn of Destiny Emblem. (THIS EMBLEM IS FOR DESTINY 1!). If you don't an unpaid item case will be opened. I will attempt to make things right. Destiny 2 Hellspawn emblem IN HAND!! SAME DAY DELIVERY!!! Destiny 2 Hellspawn Emblem. If you don't an unpaid item case will be opened. I will attempt to make things right. Destiny 1 Heart of the Foundation emblem VERY RARE IN HAND!! SAME DAY DELIVERY! Destiny 2 RIVENSBANE Collectible Pin Bungie Rewards IN HAND!! Destiny 2 SONIC SIMULATION Emblem Code | CODE IN HAND! Destiny 2 WAYFARER Collectible Pin Bungie Rewards IN HAND!! DESTINY 2 Cursebreaker Seal Collectible Pin CODE ONLY! !